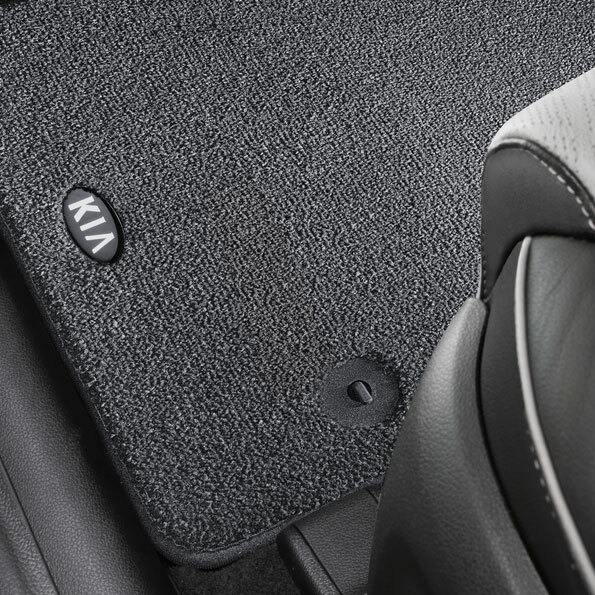 Genuine Kia Sportage Tailored Velour Mats. Tailor-made to fit the foot-wells perfectly, these luxurious thick, black, velour mats are held in place with standard fixing points and an antislip backing. The front mats are embellished with a black and silver metal cast Kia logo.